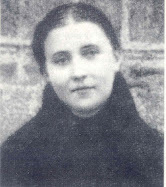 Since St Gemma Galgani was called by God to be a soul victim, that is, to suffer for the conversion of sinners, it follows that God would give her extraordinary graces to better accomplish this vocation to which He called her. 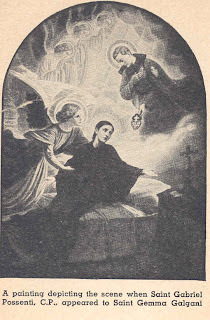 One of the astounding supernatural graces in the life of St Gemma is extraordinary assistance of her guardian Angel, who was a great help in her sanctification. In “The Life of St. Gemma Galgani”, Venerable Father Germanus C.P. 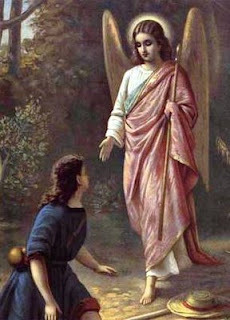 states “Gemma saw her guardian angel with her own eyes, touched him with her hand, as if he were a being of this world, and would talk to him as would one friend to another. Her guardian angel assists her in prayer. "I was in bed suffering greatly, when on a sud­den I became absorbed in prayer. I joined my hands and, moved with heartfelt sorrow for my countless sins, I made an act of deep contrition. My mind was wholly plunged in this abyss of my crime against my God, when I beheld my Angel standing by my bed. I felt ashamed of being in his presence. He instead was more than courteous with me, and said, kindly: "Jesus loves thee greatly. Love Him greatly in return." Then he added: "Are you fond of Jesus' Mother? Salute Her very often, for She values such attention very much, and unfailingly returns the salutations offered to Her; and if you do not sense this, know that She makes a proof of your unfailing trust." He blessed me and disappeared. 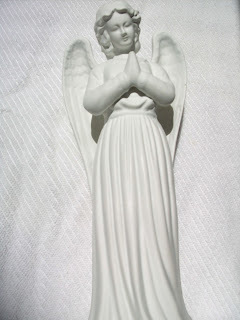 “From the moment I got up from my sick bed (was cured –editor) my guardian angel began to be my master and guide. He corrected me every time I did something wrong, and he taught me to speak but little, and only when I was spoken to. One day, when those in the house were speaking of some person, and were not speaking very well of her, I wanted to speak up, but the angel gave me a severe rebuke. Another extraordinary angelic event is the fact that Gemma often sent her guardian angel on errands, to ask Jesus, Mary or St Gabriel Possenti some permission or assistance. Later her guardian angel would return, with such a reply or permission as she requested. Realizing how unusual this was, Father Germano asked Heaven for a sign that these "angelic deliveries" were it was in accord with God’s Will. Afterwards, while he was staying at the Passionist house in Corneto, Italy, a "young boy" knocked at the door asking for him. Father Germanus answered the door and the boy handed him a letter from Gemma, and ubruptly turned and left without saying a word. Who was the boy and how could Gemma have known that he was visiting at Corneto? He opened the letter and immediately realized that God answered his prayer as to the authenticity of these "angelic" deliveries. On most other occasions when these "angelic letter deliveries" occurred, Father Germanus would simply find Gemma's unstamped letter on his desk when he arrived in his office. Father Germanus writes "When necessary, her guardian Angel knew how to show severity. She one day told me this in the following words "My Angel is a little severe, but I am glad of it. During the last few days, he corrected me as often as three or four times a day". Gemma writes "Yesterday while at table I raised my eyes and saw my Angel looking at me with frightening severity. Later, when I went to my room, Oh my God, how angry he was! I looked at him, but lowered my eyes immediately. He said "Are you not ashamed to commit such faults in my presence?" He cast such severe looks at me! And I did nothing but cry and recommend myself to my God and to my Blessed Mother, that they might take me away, because I could not bear it much longer. Every now and then he repeated "I am ashamed of you." I prayed also that others might not see him so angry; for if they did, no one would come near me....I did not have courage to say a word to him, for whenever I raised my eyes, he was looking at me severely.... Yesterday evening I found it impossible to sleep, and at last at about 2:00am I saw him approach. He put his hand on my forehead saying "Sleep my poor child", then he disappeared." Her spiritual director Father Gemanus writes- "Gemma, seeing the great charity her angel lavished upon her, loved her angel immensely, and his name was always on her tongue as well as in her heart." ‘And why’ the Angel asked. ‘Because you teach me how to be good, and to keep humble, and to please Jesus'." Compiled from various sources including "The Autobiography of St Gemma Galgani" , and also "Gemma Galgani -A Child of the Passion" by Philip Coghlan CP, and also "The Life of Saint Gemma Galgani" by Venerable Father Germanus C.P. "Fire! Fire in my heart! This morning it is burning.....Dear Jesus, I love you so much! I shall endeavor always to love You; I shall live to love You; I shall die to love You! ....Give me wings oh Jesus, so I can fly to Your throne!" I am in awe of this blog!! St. Gemma is my patron saint and I've long wanted to develop a closer relationship with her. I appreciate your missive about striving to be in full communion with the Church. 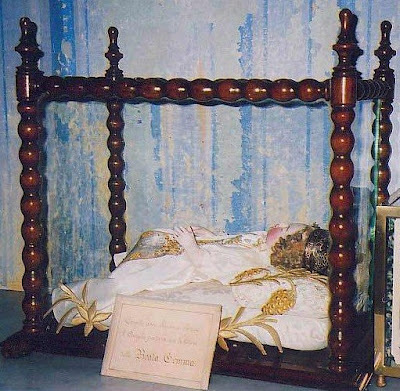 I have been disappointed with other St. Gemma sites in the past and have had to stop visiting. Also, I have NEVER seen that picture on the top of the sidebar! What is the story behind it? Best of luck with this blog! This picture is indeed somewhat rare. The second book that this picture is in is "The Voices of Gemma Galgani- The Life and Afterlife of a Modern Saint" which can be purchased through Amazon or other book retailers. If you haven't already read it, HIGHLY recommend the first one (her autobiography), written by St. Gemma herself under obedience to her spiritual director. It is most edifying and is really a spiritual treasure. By the way, there is another picture just like this one, with the same background (it was surely taken at the same time) except in that one one of her eyes is partially closed. Thanks so much for the info on the book, Glenn! I'll have to discipline myself to send away for it. Thanks a lot! Once again I've tried and hoped to see things in another way- but I just couldn't. The letters miracles was nice to read about but again reading about the harsh looks her angel gave her and the threats of her not seeing him anymore.. Also this judgmental behavior and making her feel shame of herself.. For me it does not seem an angel at all. I read a Lot about angels and I've NEVER ever seen or heard of an angel who was angry or upset or displease of anyone.. They job is to heal and help people feel good about who they are- the best cure is love! Even if an angel "only" loves and accepts- the humans can see their faults for themselves.. Humans do it enough.. I think God and the angels will always and forever see us as perfect and they only try to show us this. The goal is to remember our source as souls and sons & daughters of God and of heaven.. All of our "sins" are only of this world.. But when it is time to return home- I believe we are all purified, forgiven and Love unconditionally no matter what. I still think that her visions of that "angry" angel- were not heavenly or godly. I can say this with confidence after I myself had to deal with OCD and still to this day- with bad and degrading thought of myself.. and those who helps me out is my own soul, my guardian angel and God- reminding me I'm loved and perfect as I am.. In ALL of the NDEs, God is always loving, and he loves unconditionally.. We must remind ourselves that guilt and shame is not of the heavenly world- but only of the human world.. Thank so much for your kind comments. I'll refrain from making my own comments but will reply with Sacred Scripture, as the Word of God speaks better than a poor soul such as myself. Therefore the LORD sent pestilence upon Israel, and seventy thousand men of Israel died. God also sent an angel to destroy Jerusalem; but as he was on the point of destroying it, the LORD saw and decided against the calamity, and said to the destroying angel , "Enough now! Stay your hand! "The angel of the LORD was then standing by the threshing floor of Ornan the Jebusite. and David prayed to God: "Was it not I who ordered the census of the people? I am the one who sinned, I did this wicked thing. But these sheep, what have they done? 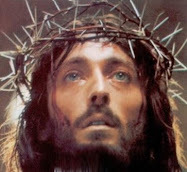 O LORD, my God, strike me and my father's family, but do not afflict your people with this plague!" Then the angel of the LORD commanded Gad to tell David to go up and erect an altar to the LORD on the threshing floor of Ornan the Jebusite. Before they went to bed, all the townsmen of Sodom, both young and old--all the people to the last man--closed in on the house. 3 Then the angels said to Lot: "Who else belongs to you here? 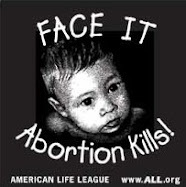 Your sons (sons-in-law) and your daughters and all who belong to you in the city--take them away from it! 5 Look, this town ahead is near enough to escape to. It's only a small place. Let me flee there--it's a small place, isn't it?--that my life may be saved." I think we can therefore see that God uses Angels to correct and at times punish us for our sins. The point is sin seperates us from God, so like any good parent, He corrects us at times when necessary, out of His infinite love for us. The entire Scripture, beginning with the Book of Genesis, where first sin of Adam and Eve, thru the book of Revelation speak of humanities fallen nature. Most of us are in fact far from perfect, and all of us are sinners. You are right that God intended us to be without sin, but having given our first parents free will, they chose to disobey God and thus they fell from grace and sin entered the world. Thus we are all sinners, but we are forgiven, if we ask and desire to be forgiven. That is the most importtant thing. Perhaps in the end we will have to "agree to disagree" on this one. However, the one thing it seems we both agree on is God's infinite love for us. Let us thank God for His infinite love! If we people of the world read the lives of the saints the world won't be as it is. I found this story very fantastic and very nice.It contains a lot of values that has an importance in our life. This is a beautiful story. I do however, feel quite ill, I think that the dear child, although I believe these accounts, I also think that she was being abused. Keeping her eyes down, not being allowed to speak. Surrounded by males and a story of males making certain that she keeps her eyes down and does not speak. I think there is a sorrowful story behind the beautiful story. ending with a positive resolution. 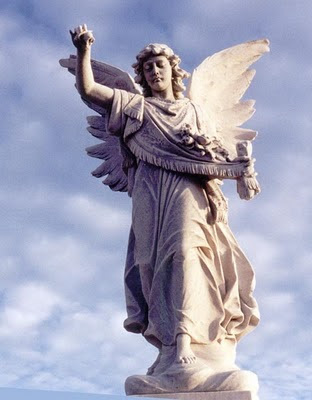 I love to read about the guardian angels, who,are not understood or invoked as they should be. They stand always in the presence of the Holy Trinity,; they are not distracted from their sole mission to praise God and lead us to them. We need to all pray to them with great faith. They will never let us down. How great the Mercy of God that He has given us a messenger, a true friend to to lead us through the dark shadows and deserts of this world to love and praise Him forever! Thanks again Glenn for all you do! Love Gemma! I'm learning Italian for whenever I go to Lucca. 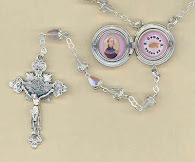 Saint Gemma's life is so inspiring and edifying. I now believe that possibly at certain moments in life we are visited by Angels but we do not have the spiritual eyes and discernment to acknowledge them. Glory be to God.